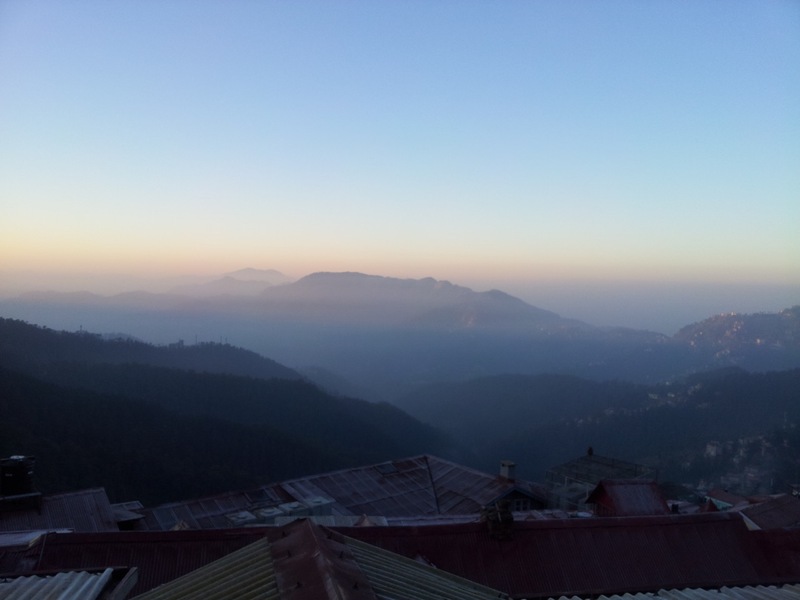 I woke up at 7:30 am and clicked this photograph of Shimla from my hotel window. The Sun wasn’t out yet. However, the temperature wasn’t as brutal as in Kasol. Krishnavatar Gupta, a.k.a. Krishna, got ready pretty early. He wanted to utilise the daytime as best as possible. 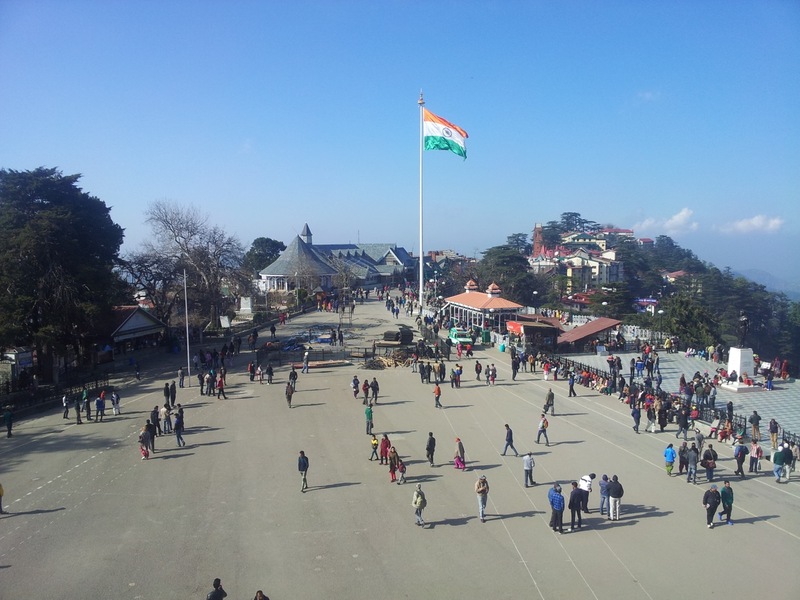 Shimla was covered in mist. We descended to the old bus stop and had one of the worst aloo paratha ever. Krishna was looking for a shared trip. Sadly, there wasn’t anything available. 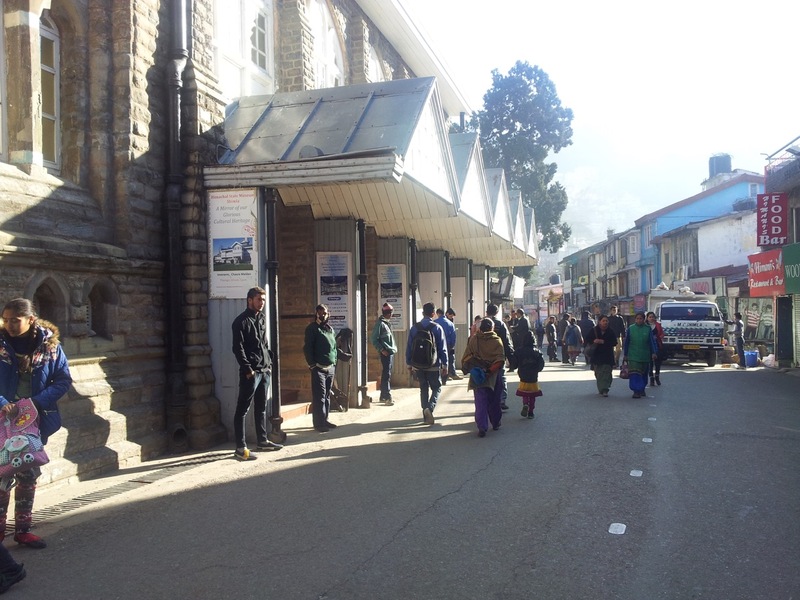 He was informed that the tourism office (Himachal Pradesh Tourism Development Corporation – HPTDC) conducts guided trips. That meant we had to walk all the way up to The Mall. For Krishna, that was a tedious task. He managed to climb up but not before stopping multiple times and finally, giving his backpack to me. I realised that sports backpacks like the one he was carrying (Fastrack) are not suited for any sort of travel. They have really poor back support and design. I left Krishna here at the fork of Mall Road and The Ridge Road. On the right hand side is the HPTDC office. Most places to visit are at the Mall. 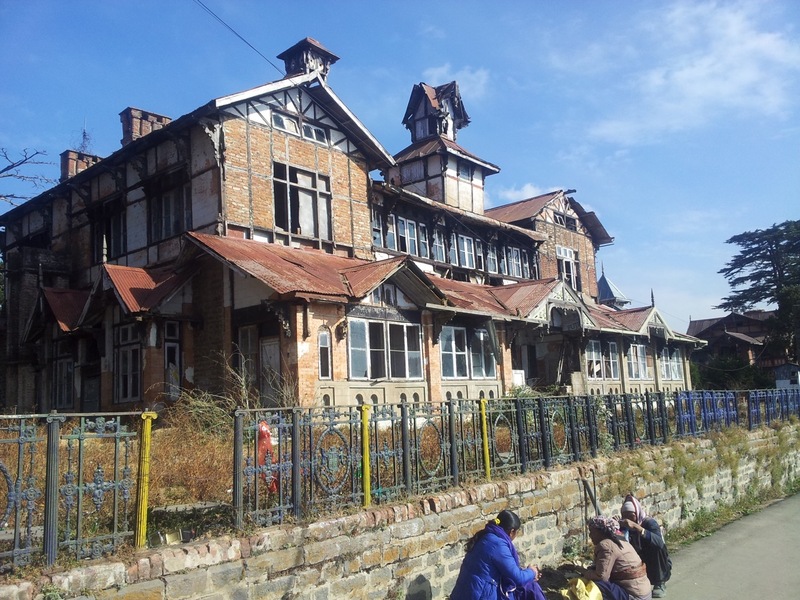 In fact the entire commercial hub of Shimla is located on the slope between the lower Old Bus Stand Road and the Mall Road. Gaiety Heritage Cultural Complex houses two theatres. The new one was hosting a private ceremony. In the old one, a group was doing rehearsals for a play. Most people were soaking up the Sun in front of the complex. 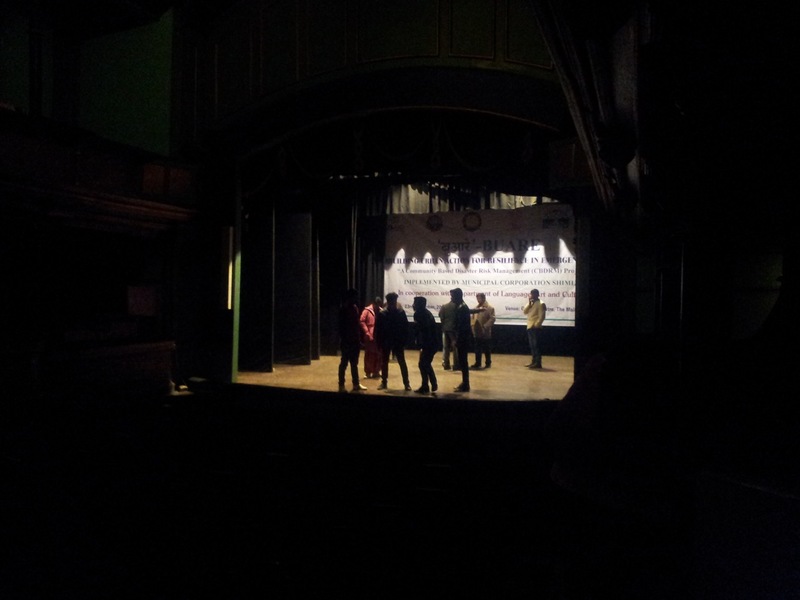 A group was rehearsing their play in the old theatre. Just above the mall is an empty level ground. This place is called the Ridge. Old people and kids alike had flocked here owing to their Christmas holidays. The Ridge, photographed from the balcony over a Gandhi statue. 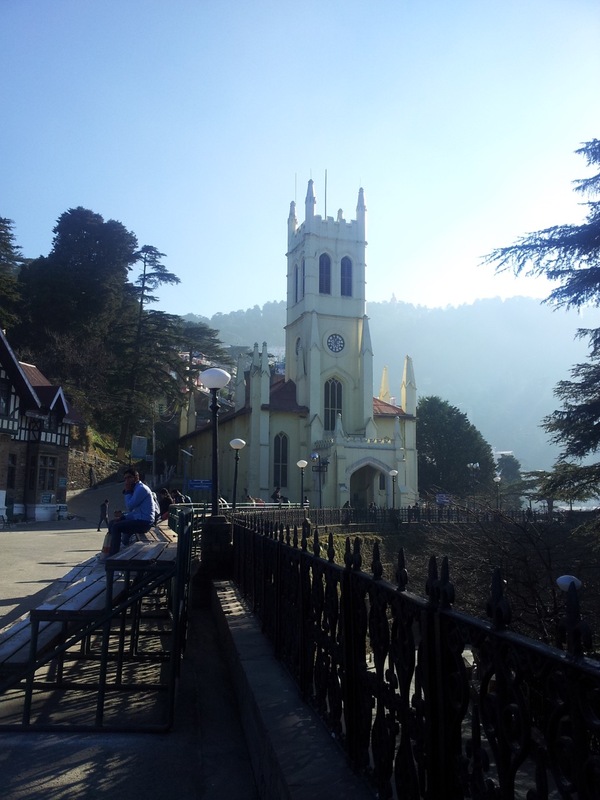 Shimla Christ Church is adjacent to the Ridge. For some reason, the church was closed. Also, note the peaking head of a statue amongst the foliage line in the background. Above Mall is the road that leads to Kali Bari. 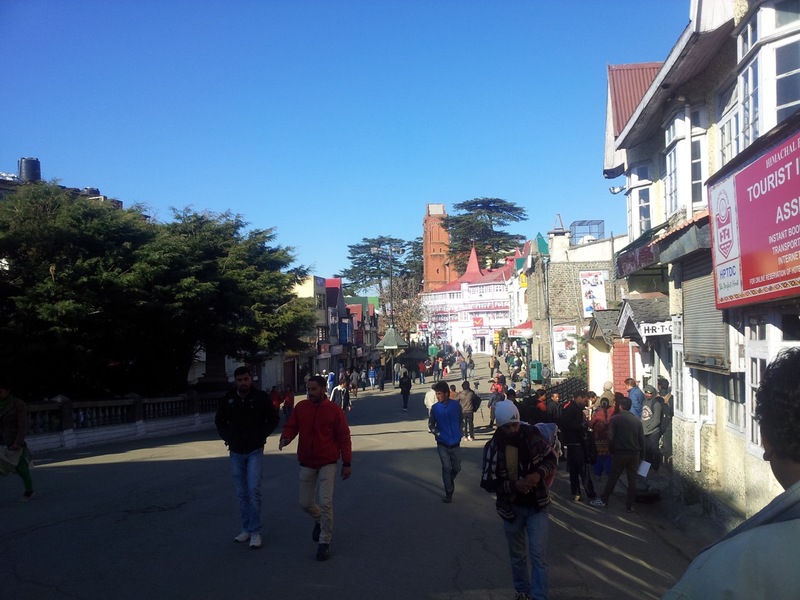 This place is a sign of the number of Bengalis who visit Shimla. Almost all signs inside the temple premises are in Bengali. 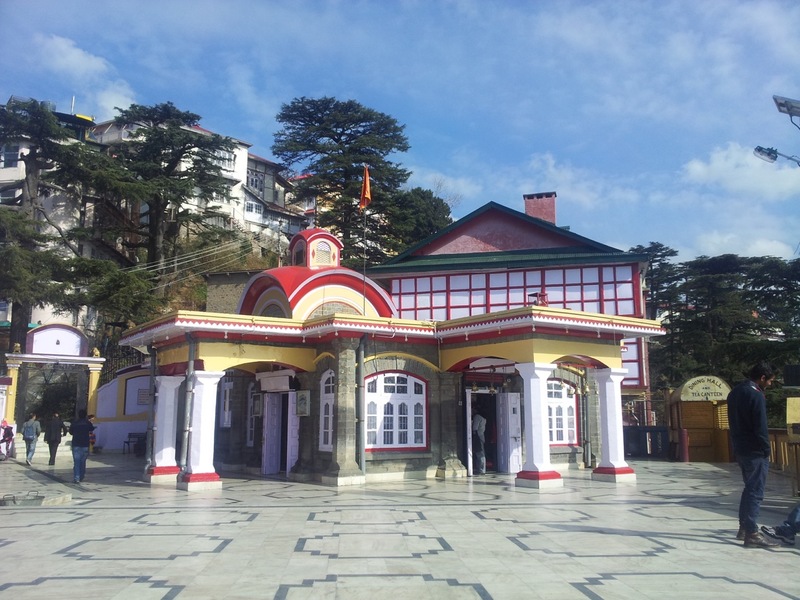 Kali Bari of Shimla. It is forbidden to take photographs inside the temple itself. This old building falls on the road to Kali Bari. I was disappointed to know that the area was a private property that belonged to one Ram Krishan and his sons. At 10:03 am, I clicked this image. What awaited me was a 1.5 km stretch of continuous uphill climb. 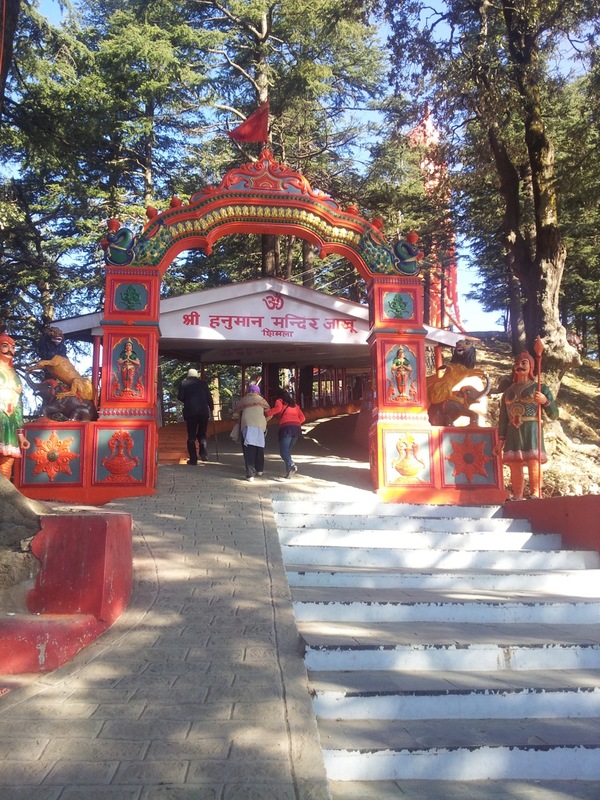 I did not know that the place called Jakhu Temple was the faint image of a huge Hanuman idol I had captured in the background, while taking a snap of Christ Church. It took me exactly 30 minutes to reach there. Yay! I took this image of the temple entrance at 10:33 am. 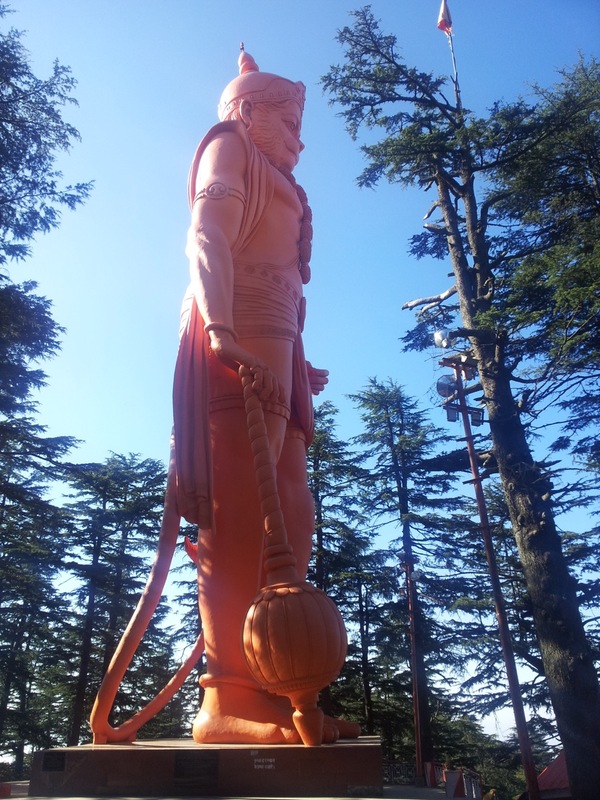 This is the huge Hanuman idol that is visible from afar. For comparisons, the base would be at my shoulder height. I had my lunch at a place called Wake and Bake. They were still decorating their shop for Christmas Eve. The entire Mall Road would be lighted up today. 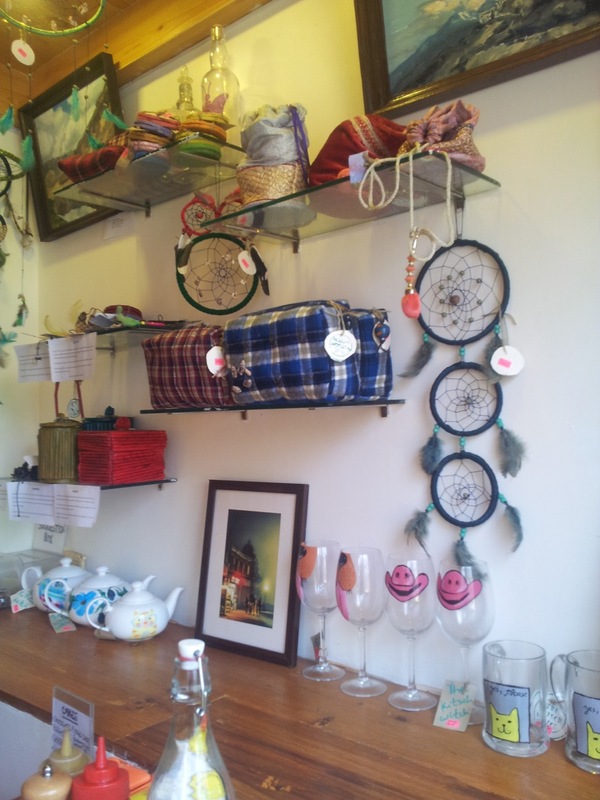 Souvenirs on one of the walls of Wake and Bake for sale. After a failed search for shawls for my Mom and Aunt, I took the long way down from Mall Road to my Hotel. 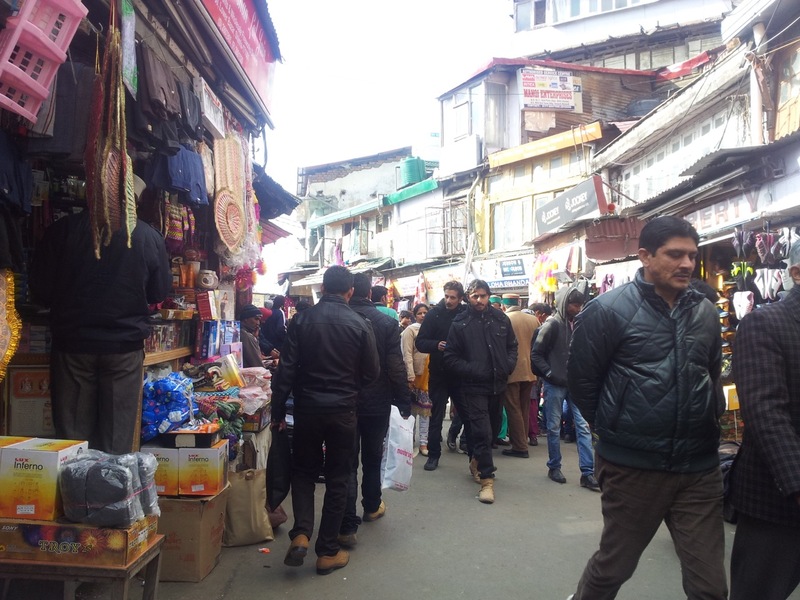 I walked through the lower market and the anaj mandi market. These places were just like any other market that sells utilitarian stuff to local people. 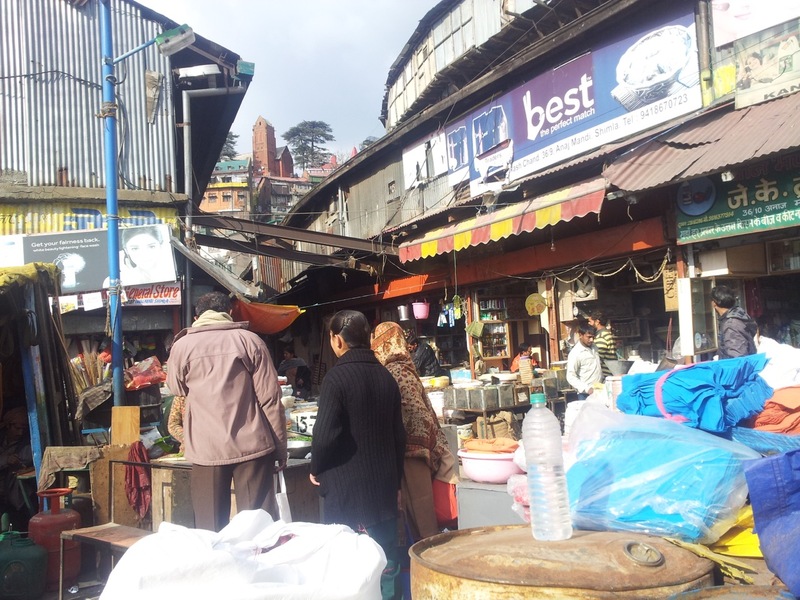 The lower market of Shimla. You’ll find anything and everything for normal usage here. The anaj mandi market specialises in groceries. Around 3:30 pm, it started snowing. 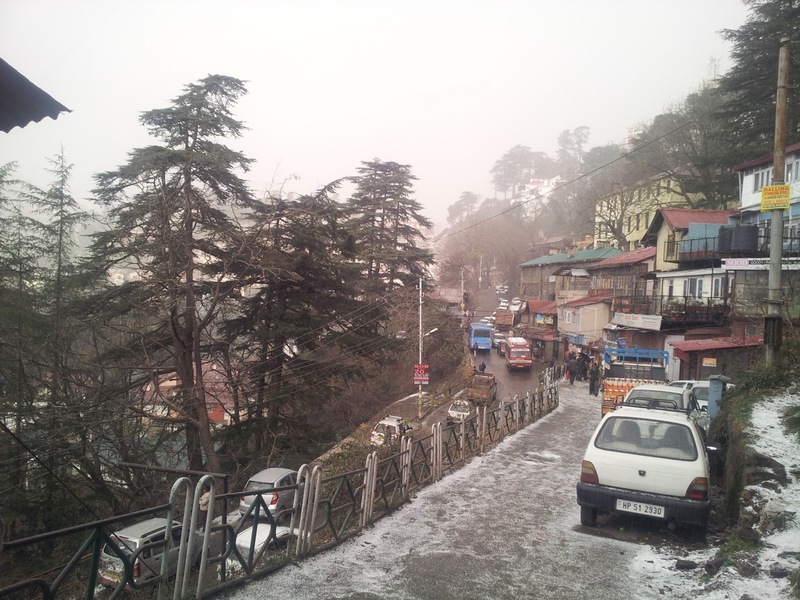 Shimla was experiencing the season’s first snowfall. I was on my way from Ram Mandir to Lakkar Bazaar. 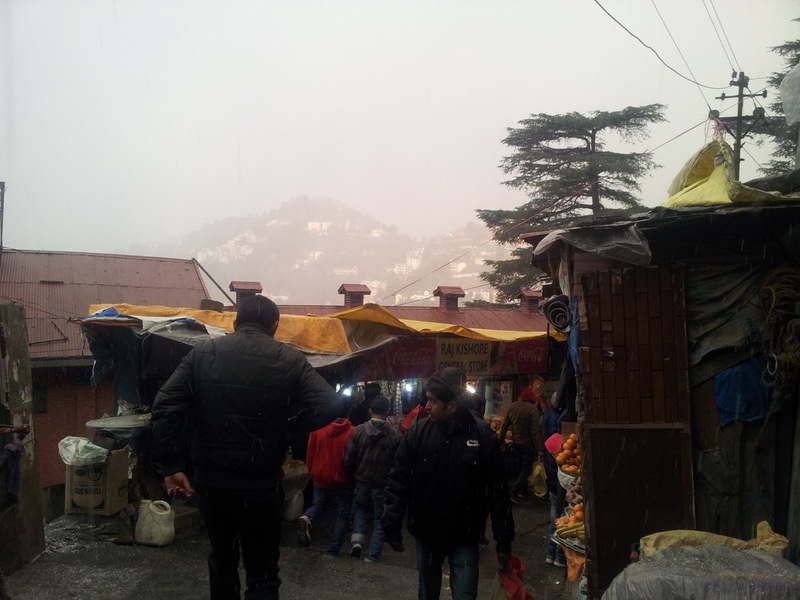 The latter side of the hill was experiencing heavier snowfall as compared to the Ram Mandir (bus stand) side. I couldn’t have asked for better timing of this entire trip. A day or two of snowfall would close the roads and cause power cuts. 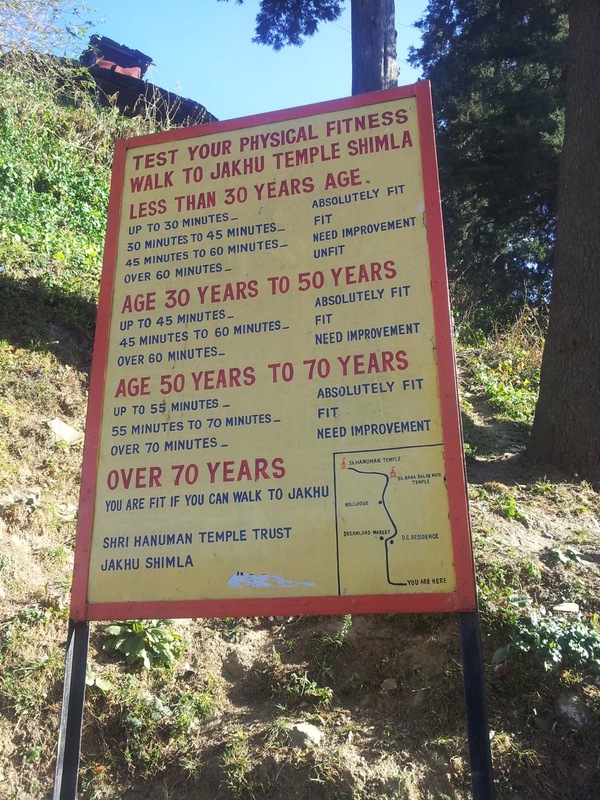 Thankfully, I will be out of Himachal’s mountains by tonight. I was near Rivoli tunnel on the South side when it started snowing. Lakkar Bazaar / Rivoli side (North) experienced heavier showers. The sudden snowfall had jeopardised Krishna’s plans. He was stuck in Kufri which had experienced really heavy snowfall and had caused huge jam on his way back to Shimla. He came back to the hotel for another night’s stay. I bid him goodbye again at 8:00 pm (this time for good) and walked down to the old bus stand. I did not find a direct bus from old bus stand to the new one. They said that one should have come at 8:30 pm. It was already past that. I took another bus that dropped me at a junction. After that, I walked the rest 1.5 kms. I had ample time to have my dinner and board my bus at 9:30 pm.